One Plucky Female Pharmacist + One High-Society Naval Officer = Romance--and DangerFor plucky Lillian Avery, America's entry into World War Ii means a chance to prove herself as a pharmacist in Boston. The challenges of her new job energize her. 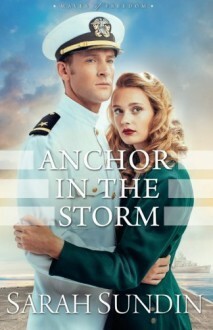 But society boy Ensign Archer Vandenberg's attentions only annoy--even if he is her brother's best friend.During the darkest days of the war, Arch's destroyer hunts German U-boats in vain as the submarines sink dozens of merchant ships along the East Coast. Still shaken by battles at sea, Arch notices his men also struggle with their nerves--and with drowsiness. Could there be a link to the large prescriptions for sedatives Lillian has filled? The two work together to answer that question, but can Arch ever earn Lillian's trust and affection?Sarah Sundin brings World War Ii to life, offering readers an intense experience they won't soon forget.